This book is the second in a series of books that are based on my experience of working in several primary schools both as a play therapist and therapeutic consultant to school staff. For me it encompasses all I have learnt through my work in schools and demonstrates my commitment to children’s emotional well being. I am very proud to see it in print and hope it helps many people to understand and support children. The following is the description from the back cover. It is available on the Routledge website now and on Amazon from early December. 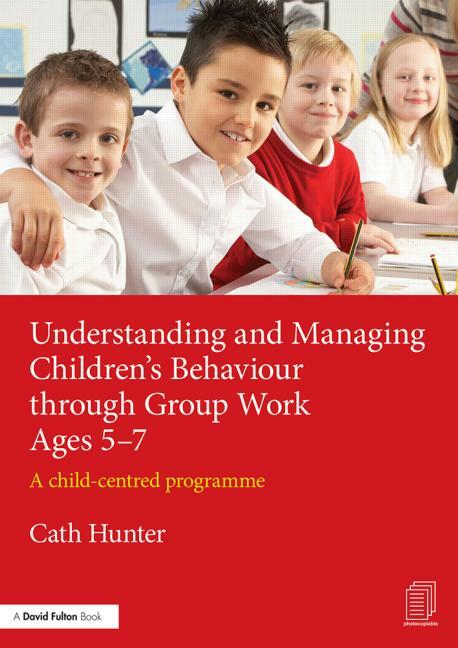 “Understanding and Managing Children’s Behaviour 5-7 provides the reader with an insight into children’s emotional well-being and helps them to understand what and how children communicate and how to respond in a way that provides positive messages, increases their emotional vocabulary and encourages them to change their behaviour. It provides an alternative and effective child-centred way of managing children’s behaviour through introducing the concept of reflective language and other tools, equipping staff with new skills that are transferable across the school in any role. ◦case studies showing behaviour examples with detailed explanations for the behaviour and strategies to respond to it. This entry was posted in Uncategorized and tagged behaviour, emotional well-being, school. Bookmark the permalink.